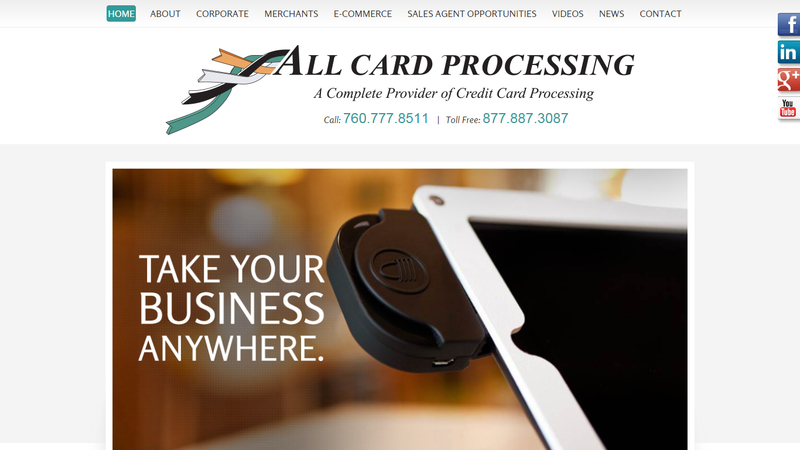 All Card Processing is a complete credit card processing company helping businesses to accept credit card payments online, in their store or while on the go. The offer corporate programs, merchant services and e-commerce. All Card Processing is located in Palm Desert, CA.